Forty years ago, the Utah Stars gave the state its first pro sports championship by winning an ABA title. Lynn R. Johnson | The Salt Lake Tribune Archive Utah Stars center Zelmo Beaty (31) saves the ball from going out of bounds while being defended by Kentucky Colonels forward Walt Simon (2) during their 1971 ABA basketball game. 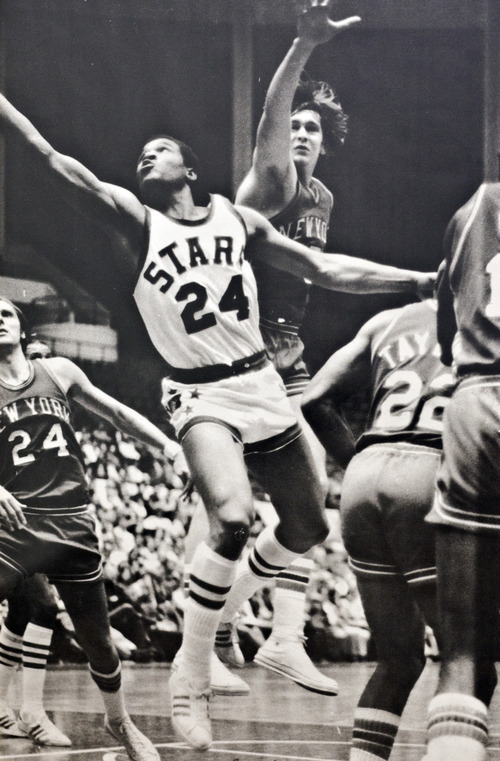 Tribune archives Utah Stars player Willie Wise was part of the Stars 1971 ABA championship team. 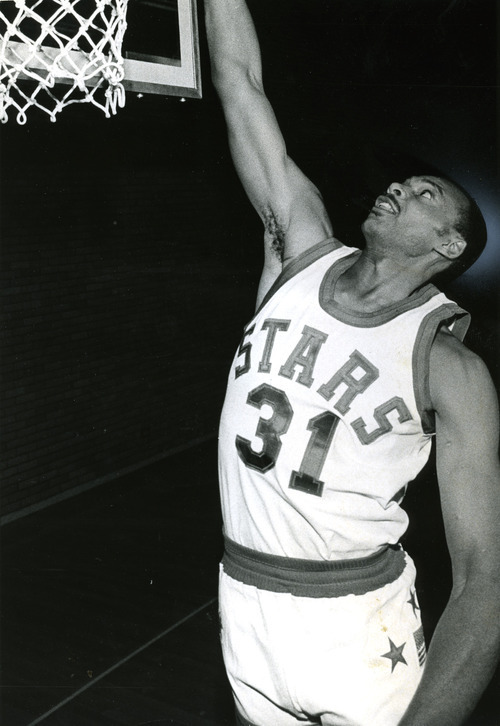 Utah Stars player Zelmo Beaty was part of the Stars 1971 ABA championship team. 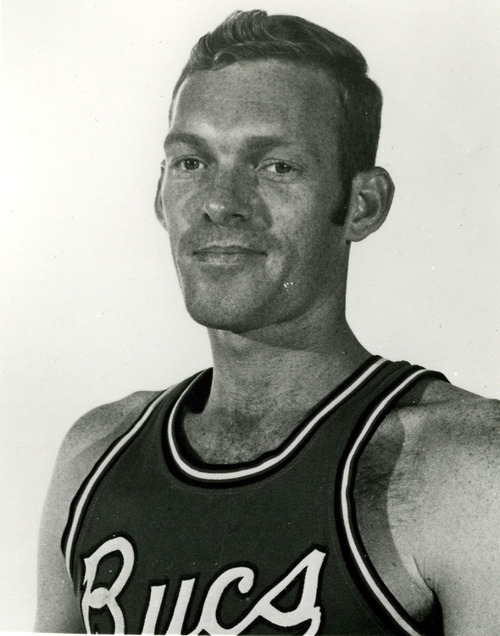 Tribune archives Austin "Red" Robbins was part of the Stars 1971 ABA championship team. 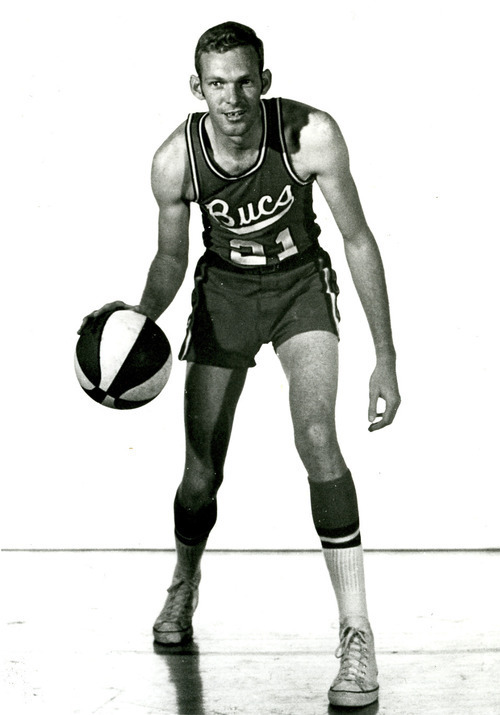 Tribune archives Tribune archives Austin "Red" Robbins was part of the Stars 1971 ABA championship team. 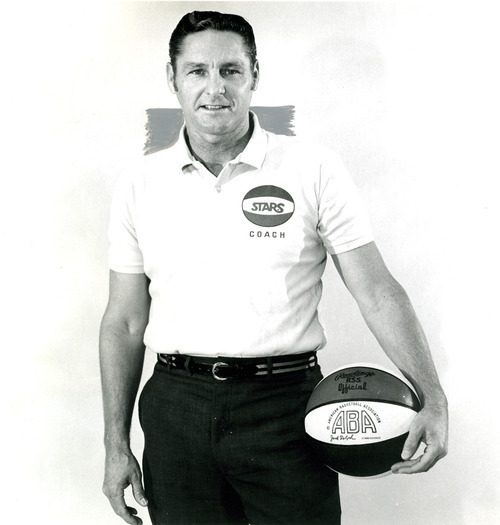 Bill Sharman coached the Utah Stars to an ABA championship in 1971. 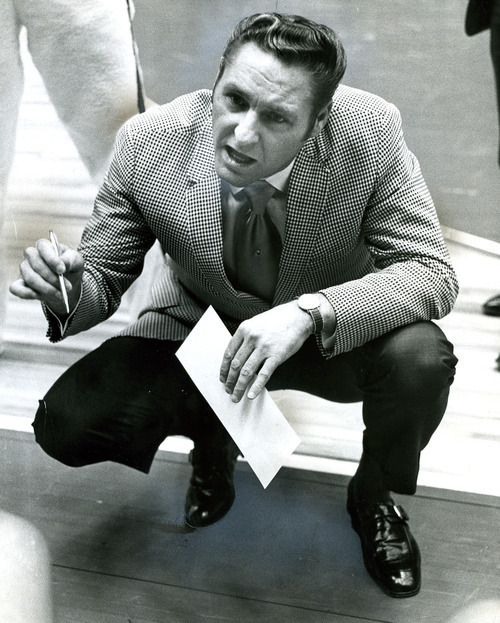 Tribune archives Tribune archives Bill Sharman coached the Utah Stars to an ABA championship in 1971. 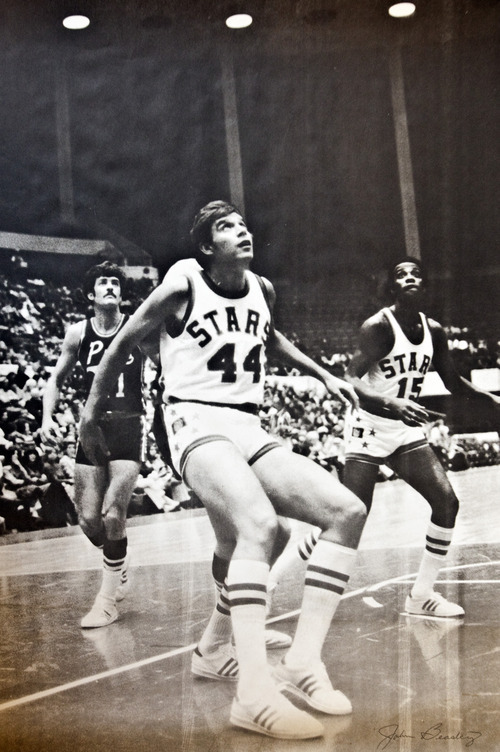 Utah Stars player Willie Wise was part of the Stars 1971 ABA championship team. Tribune archives Photo provided by Mr. Mac Utah Stars player Manny Leaks shoots a free throw during an ABA basketball game. Photo provided by Mr. Mac Utah Stars guard Ron Boone lays the ball up in a crowd of New York Nets players during an ABA basketball game. 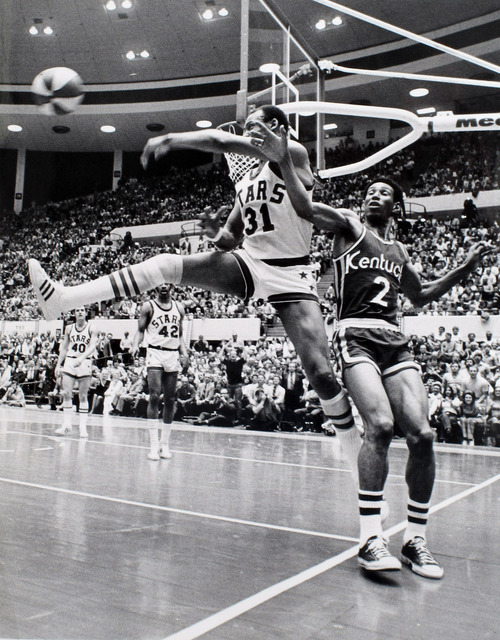 Photo provided by Mr. Mac Utah Stars player Willie Wise lays the ball up during a game against the Virginia Squires. 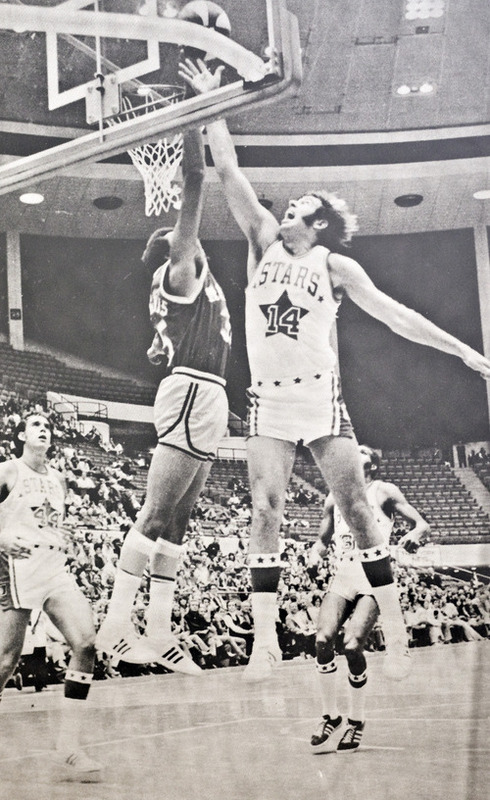 Photo provided by Mr. Mac Utah Stars players John Beasley and Jimmy Jones during an ABA basketball game against the Memphis Pros. 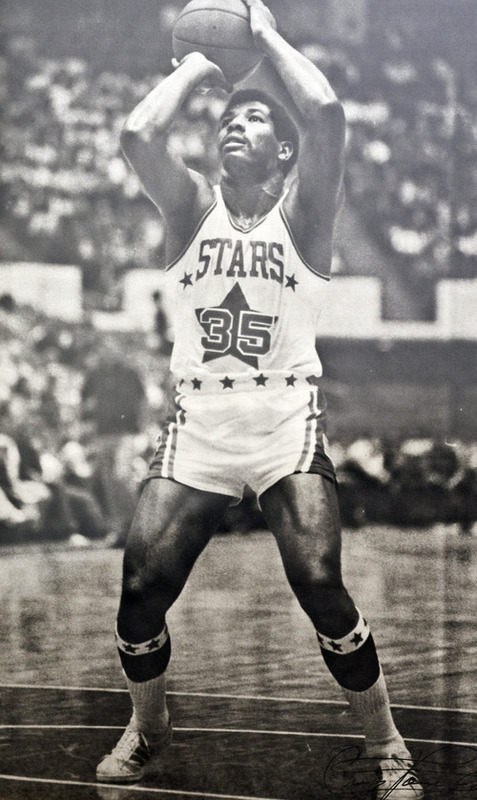 Photo provided by Mr. Mac Utah Stars forward Roderick McDonald during an ABA basketball game. 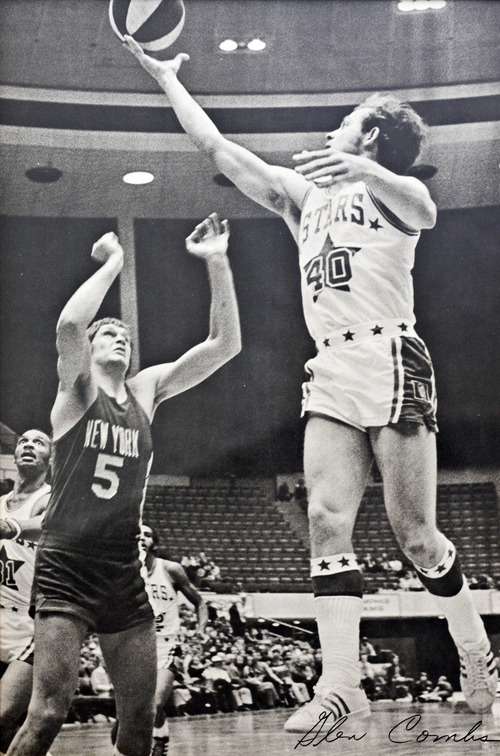 Photo provided by Mr. Mac Utah Stars guard Glen Combs lays the ball up over New York Nets forward Billy Paultz during an ABA basketball game. 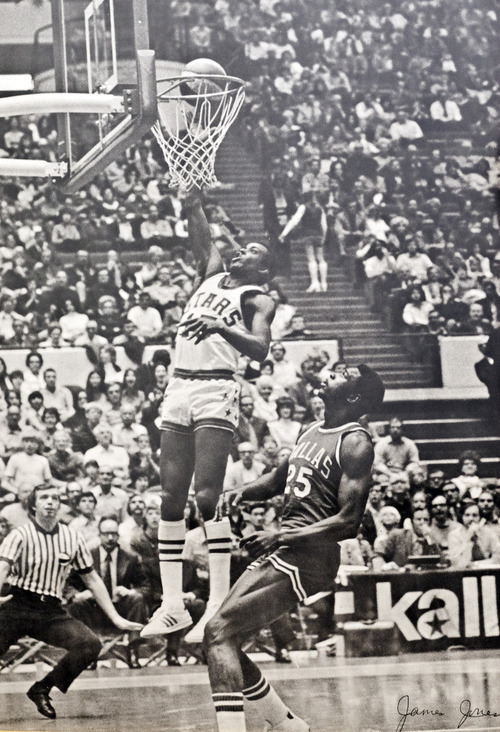 Photo provided by Mr. Mac Utah Stars guard Jimmy Jones lays the ball up over Dallas Caparrals forward Coby Dietrick during an ABA game. The fleeting sense of panic when too many people occupy too small a space. More than the Utah Stars' victory in Game 7 of the 1971 ABA Finals, the spontaneous on-court celebration of players and fans that followed remains the most vivid memory of those who were there on May 18, 1971. Forty years later, they might not remember Willie Wise's 22 points and 20 rebounds or Zelmo Beaty being the playoff MVP. They might not recall that Kentucky rookie Dan Issel, finishing the first of a then-monstrous 10-year, $1.4 million contract, scored 41 points. They might not remember the Stars' shocking upset over Indiana in the conference finals that unblocked their road to the title. One thing everybody remembers, however, is the once-in-a-lifetime celebration that erupted moments after the Stars' 131-121 win over Kentucky at the jam-packed Salt Palace. 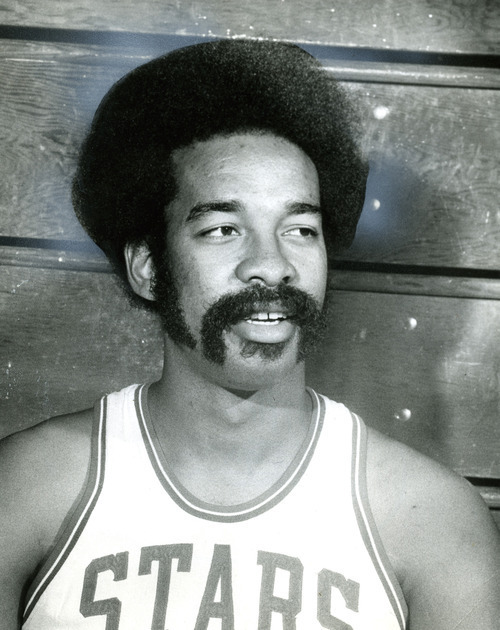 When the game ended, Utah guard Ron Boone dashed to the locker room before realizing none of his teammates had followed. He raced back to join the party. "It was unbelievable," Boone said. "... The fans were as excited as we were. To win a championship is special. To have it mean so much to the fans made it extra special. It's a feeling I still can't describe." Not everyone wanted to be part of the celebration. At one point, Stars public relations director Harvey Kirkpatrick looked around for his wife, who had watched the game from the second row. Kirkpatrick finally saw her sitting "up in the rafters" because "the mad rush of people scared her. ... She was afraid. She wanted to get away." The Stars' championship journey began almost four years earlier, when the Anaheim Amigos became a charter member of the ABA in 1967. One year later, the team moved to Los Angeles and was renamed. 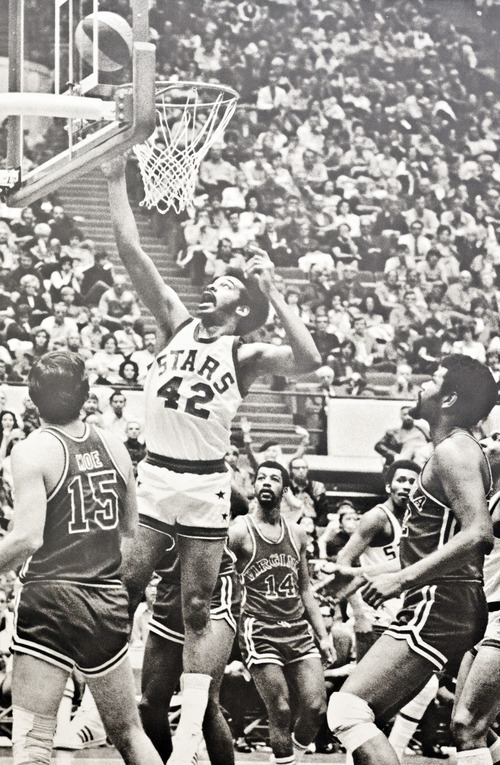 The Stars played for the ABA championship in 1970 but averaged only 2,500 fans per home game and flopped financially. After the season, Denver cable TV pioneer Bill Daniels bought the franchise and moved it to Salt Lake City, but not before he considered Albuquerque. "Salt Lake was better, as far as having a building," said Vince Boryla, a minority owner and general manager of the Stars. "Salt Lake was a basketball town, too. It just wasn't a professional basketball town." Daniels rolled the dice on Utah. A former Golden Gloves champion and decorated Navy pilot, he gambled pro basketball could prosper in the smallest of the ABA's 11 markets, even though it had just failed in one of the biggest. The obstacles were obvious. In 1970, Utah had population of barely more than one million. Today, the population is 2.8 million. Beyond market size, the question was whether fans who wildly supported the University of Utah, BYU, Utah State and Weber State basketball would embrace the ABA and its famous red, white and blue basketball. At Utah, Hall of Fame coach Jack Gardner was a pessimist. He told Sports Illustrated midway through the 1970-1971 season, "If you've seen one pro game, you've seen them all. In the college game, we don't have to have any gimmicks. We don't play with a beach ball." From a business standpoint, Gardner said, "They are in direct competition with me. We're not that big a community, and someone's got to get hurt." Would African-American athletes be comfortable living in Utah which, of course, was predominantly Mormon and overwhelmingly white? "The players talked about that," Boone said. "But there weren't any problems. I never had any problems." Boryla, 84, is the son of Polish immigrants and a devout Catholic who still attends daily mass. "The Mormons were very nice to us," Boryla said. "Our acceptance in that town was 100 percent." On the court, the Stars prospered during their first season in Utah. They won 57 games, thanks to the dominance of Beaty and the acquisition of Boone and Glen Combs in a December trade with Dallas. "I was always a trading guy," Boryla said. "… I made some deals from the club we got from L.A., put it together, and we came out smelling like a rose." In the playoffs, the Stars reached the conference finals against the powerful Indiana Pacers. The brutal, back-and-forth series went to Game 7. Minutes before tipoff, Salt Lake Tribune reporter Steve Rudman saw one Utah player using a telephone on the concourse. "He was getting his airline ticket home," Rudman recalled. "He admitted that to me later. He thought they were going to lose. … Even the players didn't think they were going to beat Indiana." Back at the Stars' hotel, Rudman says Daniels spent $11,000 on a victory party that included "cart after cart" of celebratory drinks. After stunning Indiana  and maybe themselves  the Stars needed another seven games to defeat Kentucky. On May 18, 1971, the teams played Game 7. A crowd of 13,260  700 over the official capacity  packed the Salt Palace. In the cramped visitor's locker room, Issel remembers teammate Goose Ligon getting a pregame cortisone injection in his back that made teammates cringe. "They laid Goose down on a table in the middle of the room," Issel said. "All of us were sitting there watching when the gave him that shot. Oh, man." Compared to the chaotic celebration that followed, the game was routine. The Stars jumped to an early lead and held Kentucky at arm's length. Boone and Issel called Beaty the catalyst to the championship. "He was the most dominant center in the ABA," Boone said. Laughing, Issel said, "I've told everybody who's ever asked me about that series that I learned more basketball from Zelmo Beaty in those seven games than I had my whole life. He was the foxy veteran. He knew all the moves." This time, the victory celebration was held at the old Tri Arc TraveLodge  now the Red Lion  on 600 South. Daniels asked Kirkpatrick to organize it and ordered anyone not on the carefully compiled guest list would not to be admitted. "Bill told me, 'If Jesus shows up and he's not on the list, he's not getting in,' " Kirkpatrick said. About an hour after the festivities began, Daniels arrived. His name was not on the guest list and, as ordered, the security guard would not let Daniels enter his own party. "Bill finally got my attention, I told the guy who he was and he got in," Kirkpatrick said. "But Bill was upset. He handed the guard $200 for his night's work and fired him on the spot." Alas, the Stars never won another championship and, despite annually being one of the ABA's attendance leaders, the franchise folded Dec. 2, 1975. "Bill really didn't have the cash to sustain the operation," Boryla said. "All he had was box cars of cable TV stock, which at the time was like toilet paper. It was worthless." Daniels died in 2000 at the age of 79, but not before his 1980s cable TV interests made him a fortune. When it happened, Daniels sought out and repaid as many Stars season-ticket holders as he could find from the abbreviated 1975-1976 season. "Those sheets of toilet paper turned to gold," Boryla said. "He became a billionaire." Too late to save the Utah Stars? Too late to diminish the memories of their ABA championship and post-Game 7 celebration?